Ryan Getzlaf scored less than four minutes into the game, and the Anaheim Ducks continued to embrace their spoiler role, denying the visiting Nashville Predators a chance to move into first place in the Central Division with a 3-2 victory Tuesday. The Predators made things interesting with a pair of Filip Forsberg goals 58 seconds apart in the third period, but the Ducks were able to make their early 3-0 lead stand. Jakob Silfverberg and Daniel Sprong also scored for the Ducks, who won for the fourth time in their past six games. 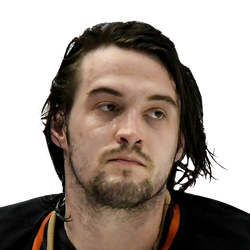 Anaheim goaltender John Gibson made 32 saves. The four most recent Ducks victories have come against the Colorado Avalanche, Arizona Coyotes, Montreal Canadiens and Predators, all teams who are either in a playoff position or fighting to move into a postseason spot. Nashville was unable to take advantage of the Winnipeg Jets' 5-4 defeat to the San Jose Sharks. The Predators remained at 83 points while the first-place Jets held tight at 84 points. The Predators have 11 games remaining while the Jets still have 13 to play. Getzlaf's 12th goal of the season came after he took a two-line pass from Josh Manson and beat Predators goaltender Pekka Rinne (15 saves) to his glove side. 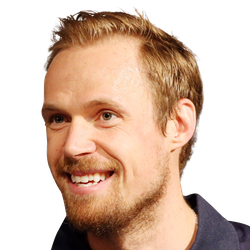 Silfverberg made it 2-0 a little more than seven minutes later, scoring his 20th when he moved out from behind the net and beat Rinne from the left circle. Sprong's 12th of the season, all since coming over from the Pittsburgh Penguins in December, came when he beat Matt Irwin one-on-one and then put a backhanded shot past Rinne. Forsberg's first goal at 14:16 of the final period came from the left circle on a five-on-three advantage. While still on the ensuing one-man advantage, the Predators pulled Rinne for an extra attacker, and Forsberg beat Gibson again from nearly the same spot for his 24th of the season. Over their last six games, the Ducks have managed to score 22 goals. They are still tied for last in the NHL with 164 goals and tied for third from the bottom with a minus-52 goal differential. The Predators lost for the fourth time in their past six games while dropping the opener of a three-game trip through California that also includes stops at Los Angeles and San Jose.